Before VoIP became a reliable option, businesses maintaining multiple locations simply had no way to save costs by sharing the same phone number across all offices. 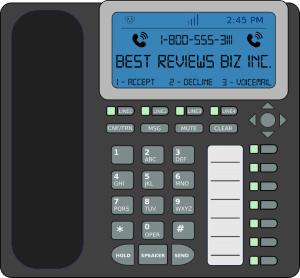 Not only are traditional phone systems incapable of distributing incoming and outgoing calls without the use of a PBX – which in fact has to be located on the premises – but traditional phone traffic also has to go through copper wires that physically cannot handle more than one call at a time. With cloud-based phone systems, however, sharing the same line across multiple offices isn’t a problem anymore. In fact, SMB owners can simply pick a business VoIP service provider and then simply configure the system in such a way that every employee be a part of the same network, even if they don’t work at in the physical place that the system is managed from. Why Is One Line More Than Enough? Cloud-phone systems can handle multiple phone numbers within the same online account manager – albeit for additional monthly fees – but, actually, having more than one number is unnecessary when switching to VoIP. The main reason for this is that calls managed through the internet don’t have the same physical limitations as traditional phone lines. Simply put, people calling in will rarely encounter a busy line signal because VoIP can handle multiple inbound and outbound calls simultaneously without the participants of the call ever noticing it. Being entirely internet-based has another advantage, too, namely that the phone system can be used anytime from anywhere by anyone that has the necessary permission to join. This means that it doesn’t matter whether employees are in the headquarters of the company or are working in one of the branch offices, because all they need is a device that connects to the internet – an IP desk phone, a mobile device, or a computer – and they can be part of the same system. Although simply reducing the number of in-use phone lines to just one isn’t the only step in creating an efficient phone system, thankfully doing so is an easy task thanks to the list of necessary configurations actually being quite short and can easily be done by anyone with the permission to make modifications to the system. A huge advantage of VoIP systems is that they can be configured in such a way that no matter which user is making an outbound call and from which extension or phone number, the outbound caller ID can always be the main number that is assigned to the phone system. This feature is especially helpful for companies that own multiple phone numbers but want to be associated with just one number in order to maintain a clearer contact point for their clientele. Things could easily descend into chaos if every phone rang each time the system receives an incoming call. 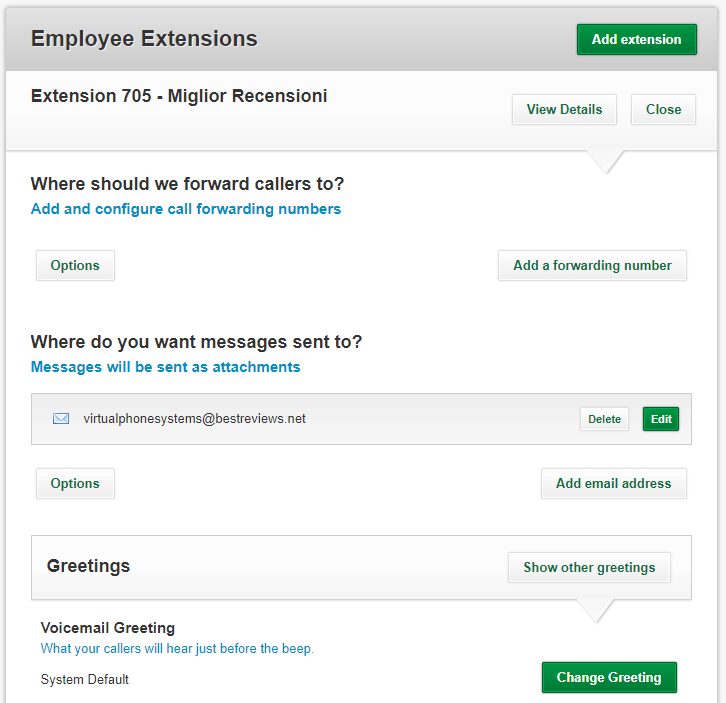 As such, assigning an extension to each employee will help to manage a single phone number, as will setting up an answering rule with which callers can navigate themselves to the right person for their query. 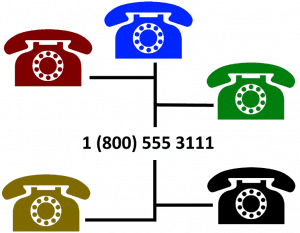 This way a single, shared phone number will be maintained but since callers can immediately forward their calls to an extension, the main line will never truly be busy. 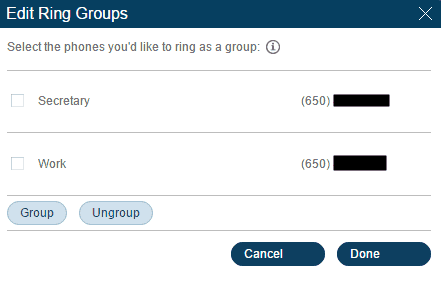 An even better system is to have admins set up ring groups in which multiple users share the same extension or phone number. This creates a phone system with an even more logical structure by, for instance, basing the ring groups on departments within the company. Not only this, but calls forwarded to ring groups are also more likely to be answered – especially if the devices assigned to the group in question ring simultaneously – while users are able transfer calls to another employee within the same group much easier. 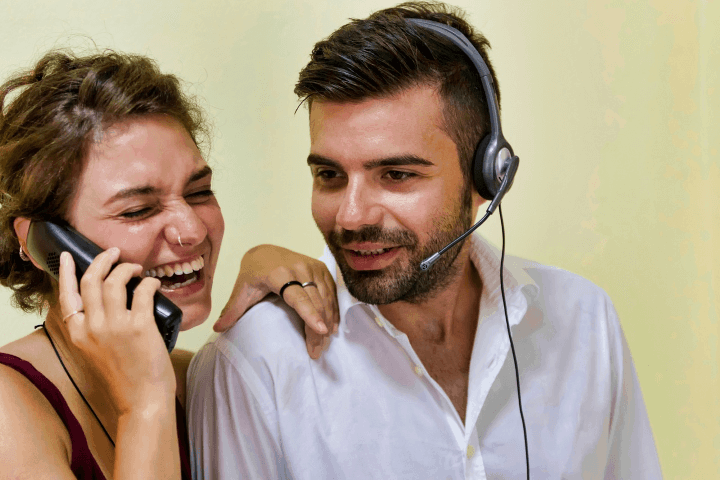 Since VoIP systems only require devices that are capable of connecting to the internet, businesses using such a solution don’t need to purchase multiple SIM cards to ensure the phone lines are available when nobody is in the office. Instead, employees can simply download a mobile application with which they can connect to the virtual phone system from their phones and continue placing and receiving calls using the same, shared phone number as though they were behind their desks.